As the Department of Homeland Security and The Department of Health and Human Services scrambled to find food, medical care and shelter for up to 60,000 illegal immigrants making their way into the United States over the last several months, they came up with the idea of shipping thousands of undocumented migrants to detention centers in Murrieta, California. Americans showed up in droves to protest the proposed drop-offs. So much so that the gatherings made national news. Swarms of Americans, many of whom hailed from foreign countries themselves, stood in the middle of the road blocking scores of buses as they attempted to reach their destinations at makeshift refugee camps set up by DHS and HHS. Given the recent history of such brazen actions by American citizens exercising their First Amendment rights, it was believed that the federal government would step in and begin detaining protesters in free speech zones or temporary holding facilities so that the buses could get through. Now, a highly credible insider speaking with GMN in a recorded interview has shed some light on what happened, and according to him things could have gone a whole different direction. According to the whistleblower, who has thus far remained anonymous for fear of reprisal, the Department of Homeland Security on orders from the White House was preparing to disperse the protesters with physical force if necessary. Federal riot police were being mobilized, complete with riot gear, body armor and armored personnel carriers. When local law enforcement and border patrol agents, many of whom live in Murrieta, got wind of the plot they reportedly pushed back against the Federal government and themselves protested behind closed doors. 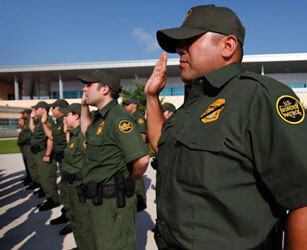 In an exclusive expose regarding the immigration standoff in Murrieta, California, it was revealed by a confidential informant inside the Murrieta U.S. Border Patrol facility that the real reason busses stopped delivering illegal immigrants was due to a virtual mutiny within the U.S. Border Patrol ranks. A recorded telephone interview with a highly credible and prominent Murrieta community leader on Sunday July 14, 2014 when it was revealed that frontline U.S. Border Patrol agents threatened to stand down if the Department of Homeland Security executed a plan to use force upon protestors [sic] if they impeded buses transporting undocumented immigrants into the Murrieta processing facility. “Most of the Border Patrol agents here at this facility are residents of Murrieta, and when they found out that the DHS was going to come in with riot gear, the agents declared that they would not obey any unlawful orders which violate the Constitutional rights of peaceful protestors.” said the informant. The front line U.S. Border Patrol agents are essentially refusing to perform any unconstitutional act upon the protesters, and they let their intentions be known to their superiors. As a result, the Department of Homeland Security could not proceed with delivery of another busload of illegal immigrants to Murrieta due to the lack of support by Murrieta Police Officers, as well as Border Patrol Agents who are stedfast in upholding their oath to defend and support the Constitution of the United States. The reports have yet to be verified because numerous reports indicate that anyone who discusses what’s happening inside of detention facilities or with the immigration process is being threatened with arrest. However, the federal government backed down surprisingly fast when protesters started blocking roadways, which adds credence to this report because without local law enforcement or border patrol support, it would have been a difficult undertaking for the White House. In recent years the government has been working to hybridize local policing agencies and personnel by placing their command and control infrastructure under the directive of federal agencies like Department of Homeland Security. 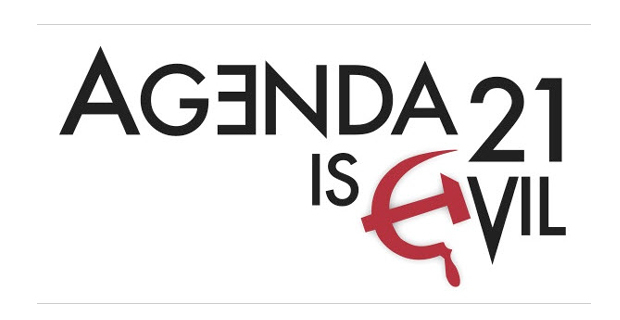 If this report is accurate, and all signs indicate that it is, then we have just witnessed how easy it is to take the bite out of federal authorities attempting to overstep their Constitutional bounds.